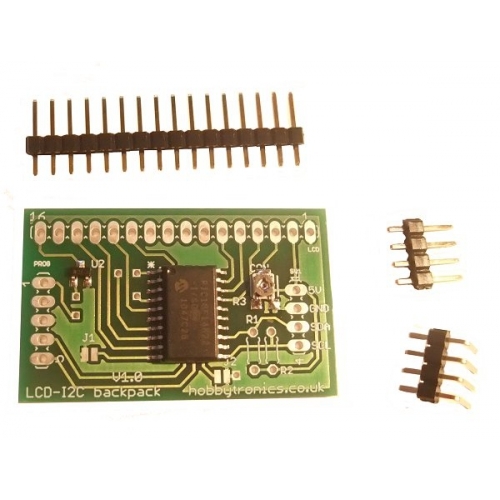 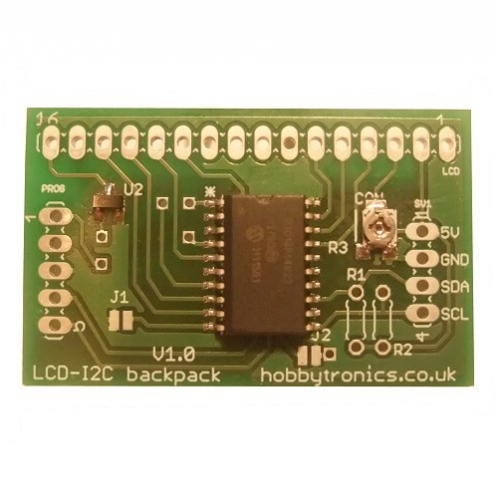 The LCD I2C Backpack is a useful little board that can be soldered onto the back of LCD’s that use the standard Hitachi HD44780 compatible interface. 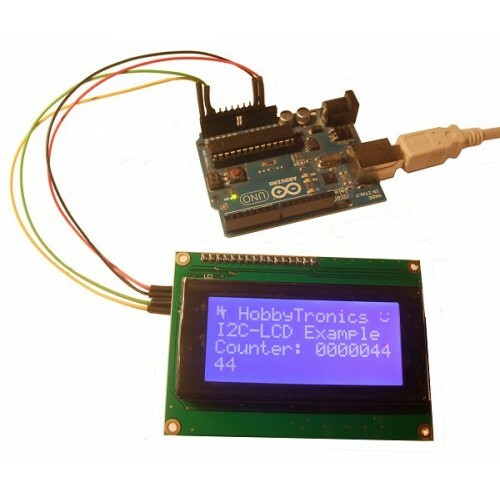 This allows the LCD (and backlight if fitted) to be controlled directly from a microcontroller using the I2C interface. 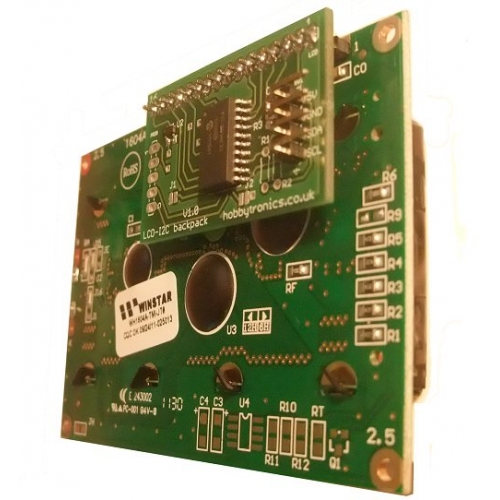 Suitable for LCD’s with Hitachi HD44780 compatible interface without a backlight and for displays with common Anode LCD backlights. 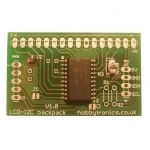 The LCD backpack requires a suitable 5V supply. 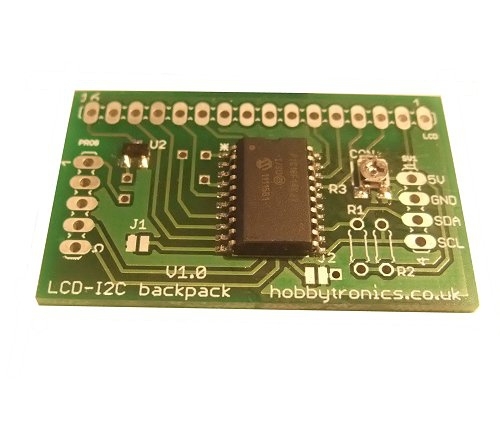 The LCD backpack has a default I2C address of 58 but can be set to 58, 59, 60 or 61 via two solder links on the board. 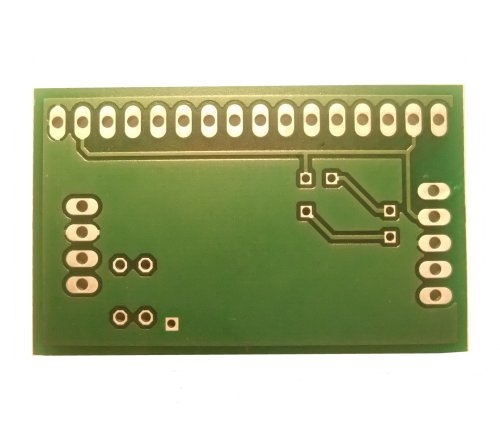 The board also has space for I2C pullup resistors if they need to be fitted. 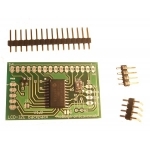 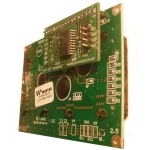 The backpack comes complete with 16-way male header pins for connection to the LCD and both a four pin right angle and a 4 pin straight header for connection to a microcontroller. 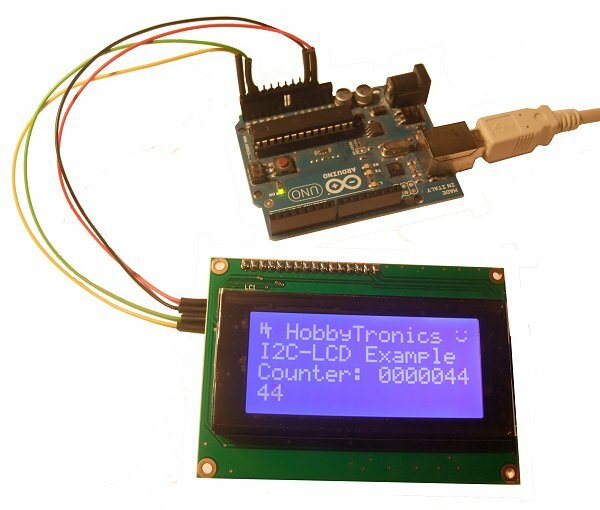 We have created a useful Arduino Library to make using the backpack very easy and also have example code and a library file for the Hi-Tech C compiler. Conversion of these libraries to other languages should be straightforward. 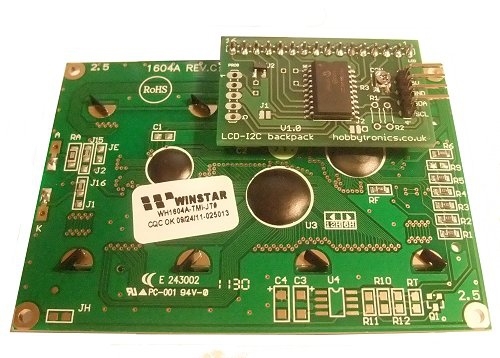 We can confirm that the LCD Backpack works great with the Raspberry Pi. 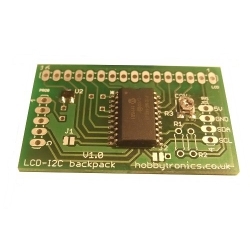 Please note however that Logic Level Conversion should be used as the LCD backpack is designed to run at 5V. We tested it out using a 20x4 LCD display and the following commands.